Albert Huggins (67) for Clemson tackles Notre Dame running back Dexter Williams (2) for a loss during the 2018 Cotton Bowl. Huggins said of the defense's performance: “I think that we just committed to what we had to do and we showed that we are more than one guy." Former Clemson defensive tackle and Orangeburg-Wilkinson product Albert Huggins is having a good couple of months in a row. In the last full week of December, 2018, Huggins (6-foot-3, 315 pounds) started in place of Dexter Lawrence in the Cotton Bowl, which was a College Football Playoff semifinal. He and his fellow Tigers teammates got a big win against Notre Dame. In the first full week of January, 2019, Huggins started once again and Clemson toppled Alabama to finish undefeated with a second national title in Huggins' time with the program. Then, on Friday, Huggins opened February with the announcement that he will be participating in the NFL draft combine for top draft-eligible prospects. The annual combine workouts will be held in Indianapolis, Indiana, on Feb. 28-March 3. Huggins and other defensive line prospects will go through drills on March 3. "I know I am a little late posting this, but I am happy to say that I got invited to Indy for the NFL Combine," Huggins posted on his Twitter account. "Blessings continue to fall in my lap and all I have to do is take advantage of my opportunity." With it having been his third and fourth starts of his college career, Huggins posted good numbers in two College Football Playoff games against top-ranked talent. He totaled five tackles in the win over the Crimson Tide, finishing the 2018 season with 30 tackles, including 3.5 tackles for loss, across 408 snaps. For his career as a Tiger, Huggins made 83 tackles in 911 plays from scrimmage. When it was Huggins' time to start in the CFP games, Clemson Head Football Coach Dabo Swinney knew the senior would be ready to play. “Albert Huggins is a co-starter for us anyway; I mean, he's a great, great talent,” Swinney said. “A really talented player coming out of high school down in Orangeburg. 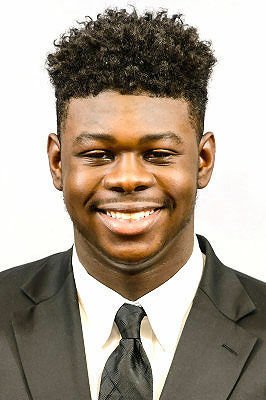 Buying in, working out and playing well have put Huggins on the short list of defensive linemen projected to be selected in the NFL Draft on April 25-27 in Nashville, Tenn.